For Star Wars fans it's hard not to love Marvel's Guardians Of The Galaxy films considering their very Star Wars-esque look and feel. Interestingly we just recently learned that the first film in series almost featured a significant connection to a Galaxy far, far away. "Always, we wanted to reveal at a certain point in the movie that Peter Quill was a human from Earth. And for a long time, I really thought it was going to be the greatest thing in the world that you're in a spaceship and he's talking to one of the alien characters and he knocks over his bag and one of the alien characters bends down and picks up and it was a Darth Vader action figure, goes, 'What's this?'" "To make a long story short, James Gunn was basically like, 'I got a better idea. What if he had a Walkman and listened to music?' And it was like, 'Oh, that's a million times better.' Because the Star Wars thing was just a nerdy reference in a single moment, and obviously, the conceit of the music redefined the entire movie." 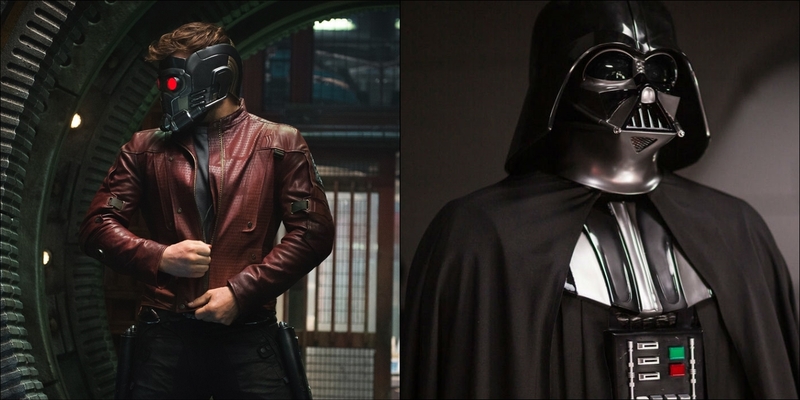 So, in a way, Darth Vader was the catalyst for what would become Guardians Of The Galaxy's most iconic attribute; it's soundtrack. While seeing a Darth Vader action figure in the film would have been great, I'd say Quill's prized Walkman and "Awesome Mix" were the best choice.